Rev. 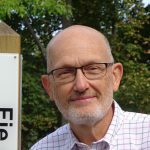 Roger Osgood – Pastor Roger came to Heights CC in September 2006 after having served at our sister church, Disciples Christian Church in Cleveland Heights, while in seminary. In addition to the normal Sunday duties of a pastor, he also sings in the church choir and plays guitar for HCC’s Sunday morning band. He and his wife, Debbie, have two grown sons (Alex and Mark) and three grandsons (Liam and, twins, Owen and Max). Pastor Roger and Debbie enjoy biking, traveling, gardening, and the theater. In addition to his ministry at Heights, he is also co-chair of the AntiRacism Commission of the Christian Church in Ohio. 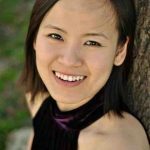 Qin Ying Tan – Ying is currently a doctoral student at Cleveland Institute of Music specializing in early keyboards. She holds performing degrees from The Peabody Institute of The Johns Hopkins University, and has played in Singapore, Malaysia, Shanghai, Germany, France and the United States. Notable performances include concerts at the Boston Early Music Festival, Kent Music Festival, Hopkins Arts Festival, the Berkeley Early Music Festival, and events at the Victoria Concert Hall in Singapore. Ying is passionate about music, and believes that it is part of everyday life — she has served in churches in Baltimore, Singapore, and Cleveland. Now in her sixth year in beautiful Ohio, Ying enjoys the seasons in Cleveland and looks forward to the fall weather each year. In her free time, she loves to create new recipes in the kitchen, and hike around Cleveland with her husband. Please visit her website at qinyingmusic.com for more information. 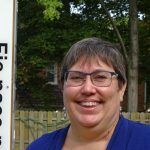 Kate Gillooly – Kate joined our staff in June 2016 as part-time Director of Congregational Development. 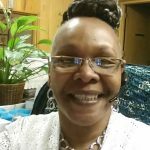 She has worked in Christian Formation and Congregational Development since 1987, serving churches in the United Methodist, American Baptist and Episcopal traditions. She focuses on strengthening the church’s educational programs and on community engagement. 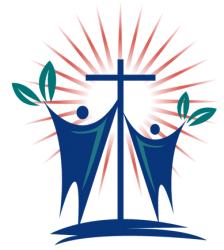 When not at HCC, Kate works on her thesis for her Doctor of Ministry degree, directs the Deacon Formation program for the Episcopal Diocese of Ohio, and trains mentors for the national Education for Ministry program. Hobbies include musical theatre, yoga, and learning to play the cello. She lives in Cleveland Heights with her husband, Greg, and two sons. 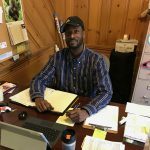 Kese Webb – with over 20 years experience at HCC, Kese is the go to person for projects great and small and the voice that answers the phone when you call. She lives with her husband, daughter, and two dogs, TJ and Shelby. Bryce Mathis – Bryce joined the HCC staff in 2018 with a background in construction and the cleaning business. He has a particular interest in all things ecological and is helping make HCC a better, greener organization.